5 Reasons To Love The Body Shop - My thoughts including pictures. 5 Reasons To Love The Body Shop. It wasn’t until a recent event at The Body Shop, Scarborough, that I realised how many of their products I use, have used and love. I admit to having a drawer that can only be described as a body butter haven and a bigger drawer full of not just Body Shop, but other hoarded goodies. Although Boots No7 comes in a close second, it’s The Body Shop products that seem to be a staple in my skin/body/makeup collections, I previously wrote a post on my Body Shop shower. And why not. The main focus behind the brand is to make you feel good, which you of course do, but when you know that the products you love so much are naturally inspired and ethnically made, it just makes you a little warmer inside. 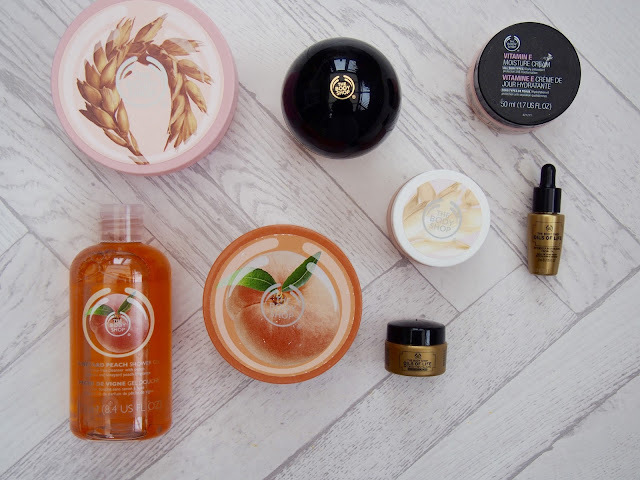 So here’s 5 products from The Body Shop that I’m loving. It’s all about the smell. I’m sure that’s a major making point of a shower gel, because of course, you want it to smell nice if you’re putting it all over your body, but this is just such an amazing smell! Even my hubby likes it. I don’t think to the point of him using it, unless he does, which possibly explains where it’s all gone. Ha! I’m sure these are one of those products that everyone has at least tried once. I’ve used them for so many years now and don’t see an end in sight. There’s just so many to choose from and don’t even get me started on the Christmas editions! Hello! Mr Gingerbread Man! As you may, may not have gathered, I’m not a beauty blogger, nor am I a well rounded girly girl. Makeup knowledge and flawless application is not something I would proudly mention on my CV. 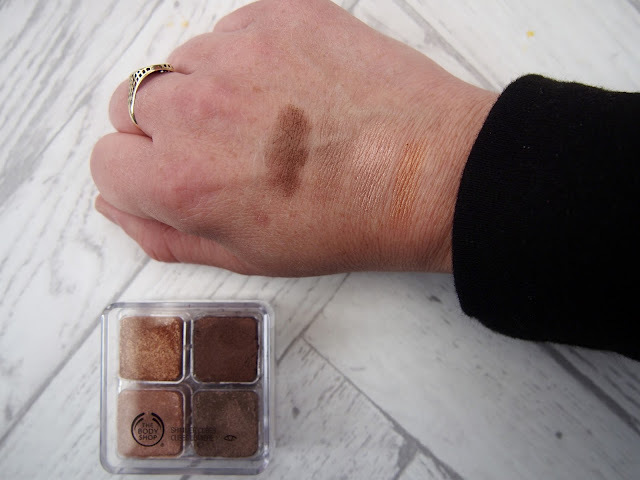 However, I dip my toe in the water from time to time and the purchase of this little palette was one of those. I loved the shades. They’re really light in application, but they are very sparkly! A fantastic product that I was introduced to at The Body Shop event at the Scarborough store. I was given a complimentary makeover and it was used as a base, to help give radiance to the skin. It smells amazing. Orange and fresh. The texture is difficult to describe, maybe like a gel, but it glides onto your skin and leaves it feeling like silk. Summers coming.. honest. This means that I opt to wear a BB cream during the day, leaving wearing a fuller foundation for photos and nights out. This was another product that was introduced to me at Scarborough stores event. I loved how easily it was applied and matched well to my skin tone, even though, as the picture shows, it goes onto the skin looking very white. It’s so light, that it just doesn’t feel like you’re wearing anything. It also gives 24-hour hydration. I could quite easily extend this list and post to other products that I love, like the Vitamin E Aqua Boost Sorbet, which is unbelievably refreshing. But thought I’d keep it to my top 5. Do you have any favourites? – What are your go-to products? – Or scents I need to try? Feeling 90's Sporty in New Look. 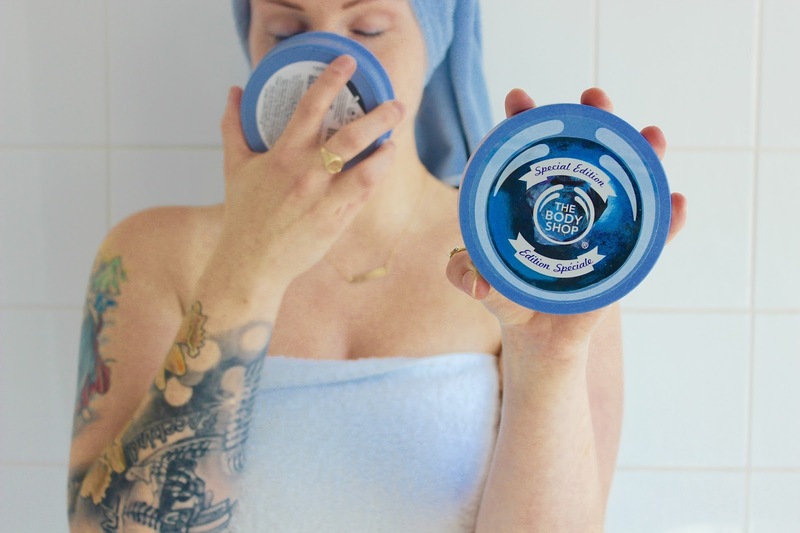 I love The Body Shop too, completely agree that the body butters are just absolute staples and I can't see myself not using them! 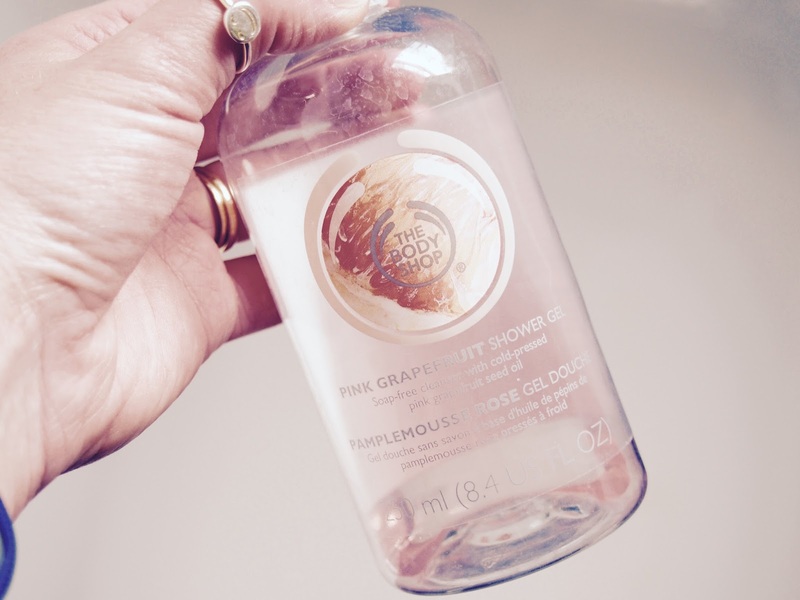 That shower gel looks lovely, I love the smell of grapefruit, definitely going to have to try it!